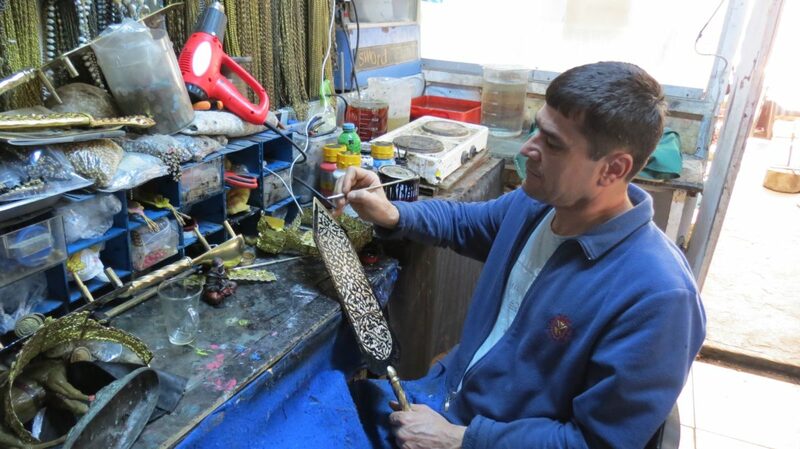 Tucked deep in the heart of the Grand Bazaar in Istanbul, lies the Gypsy jewelry factory. 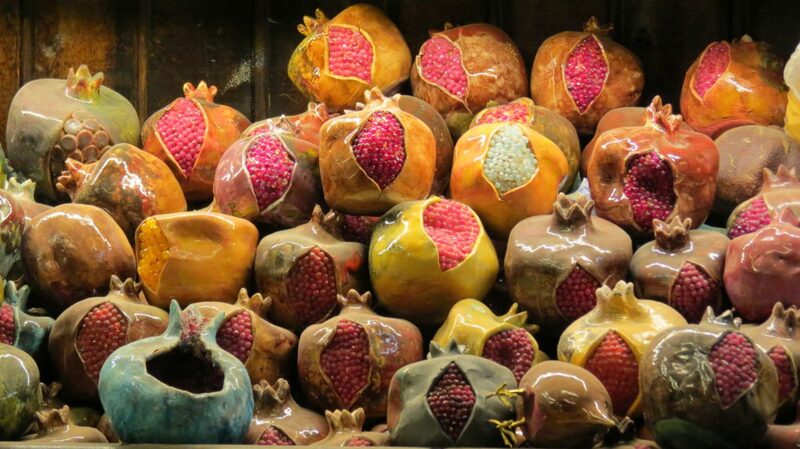 The Grand Bazaar itself spans for over 61 streets and houses over 4,000 shops. 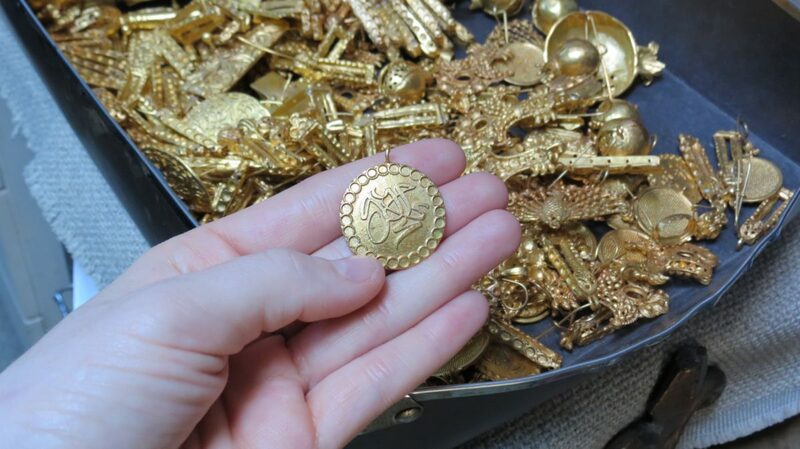 But there’s nothing quite like the Gypsy factory, where history, art, creativity, and craftsmanship come together to create truly unique handmade jewelry. A main hallway and entrance into the Grand Bazaar. 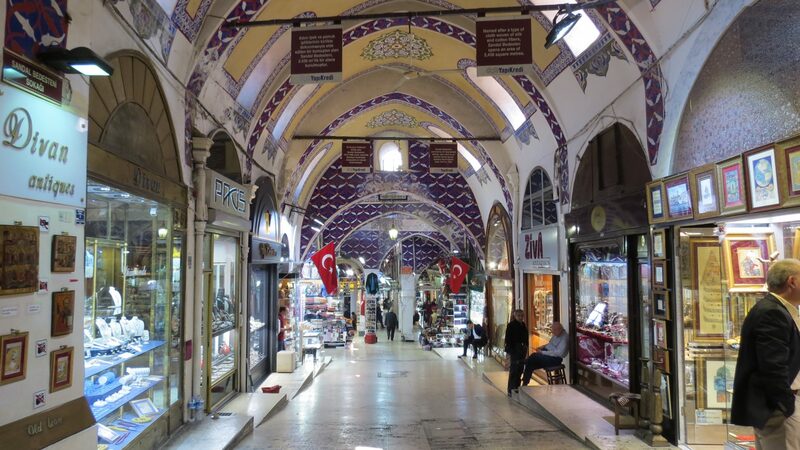 While walking through the Grand Bazaar, one sees shops full of hand-painted dishes, beautiful cashmere scarves, fragrant spices, and so much more. But after countless turns and weaving through the maze of this marketplace, one may happen upon a staircase. To the unknowing eye, this staircase may lead to nothing, to a storage closet or attic or the roof of this famous building. But to us, this staircase is the way to our jewelry, our skilled artisans, and to the birth place of all of our favorite pieces of Gypsy. Staircase to the Gypsy factory. 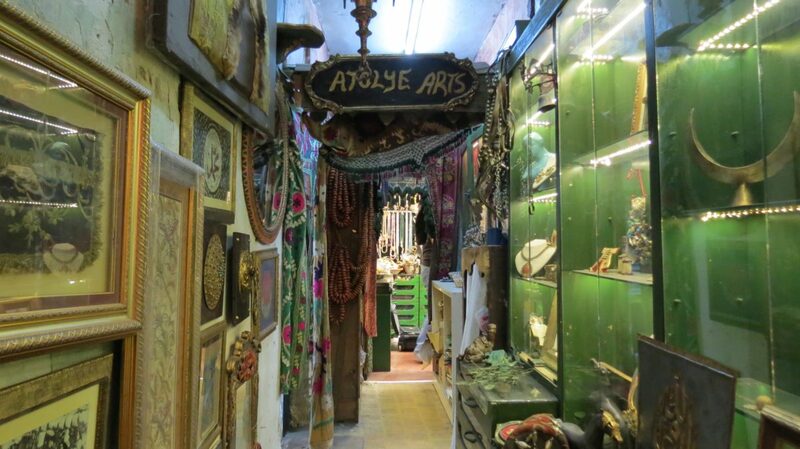 Once inside, we enter a quaint and whimsical space full of art, jewelry, and so many other Ottoman-inspired handmade objects. The best part, in my opinion, is watching the skilled artisans hard at work. 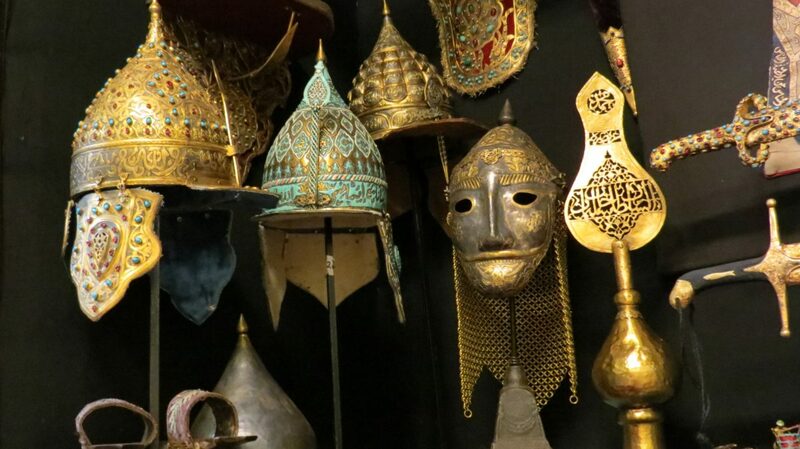 Some will be making jewelry, others will be working on other projects (often shields, swords, and helmets for movies and TV shows), but each one is hard at work using their specific craft to create something special. 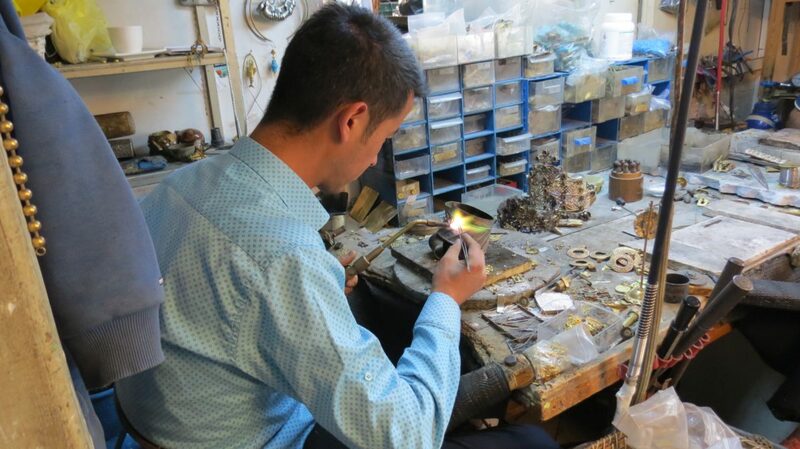 It’s mesmerizing to watch one piece of jewelry travel around the shop, each set of hands molding it or adding to it, until it is eventually completed and ready to be worn. Around the factory, countless pieces of jewelry sit waiting to go through the next step of the long production process. 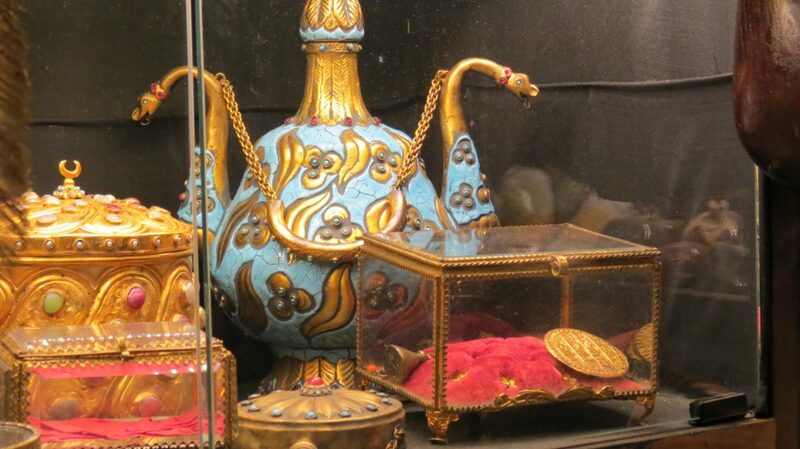 Below, we see a basket of Gypsy pieces all molded, carved, and gold-plated. They are waiting for stones, whether turquoise, coral, or onyx, freshwater pearls, and gold chains to be added to them to complete their design. 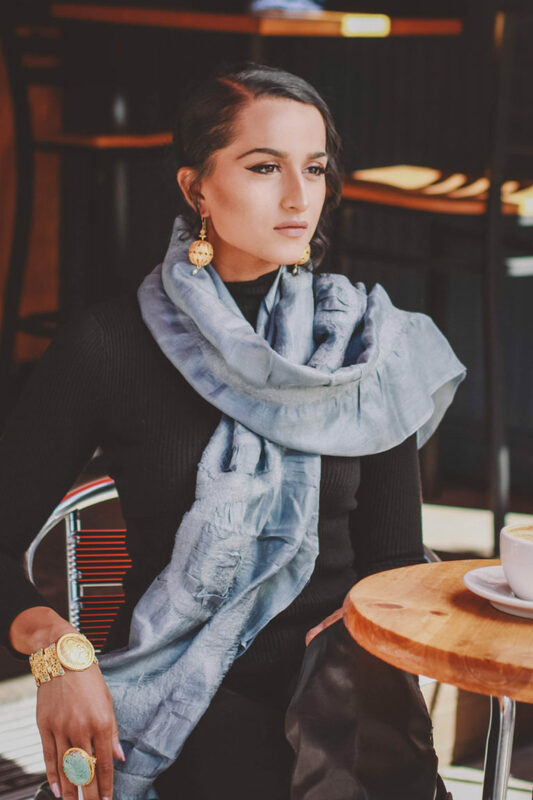 The Gypsy factory is home to the making of more than just jewelry. Such a rich historical influence and understanding of the Ottoman Era allows our artisans to create more than the jewelry we love. When they aren’t making jewelry, they are often making other objects with history and art as inspiration. 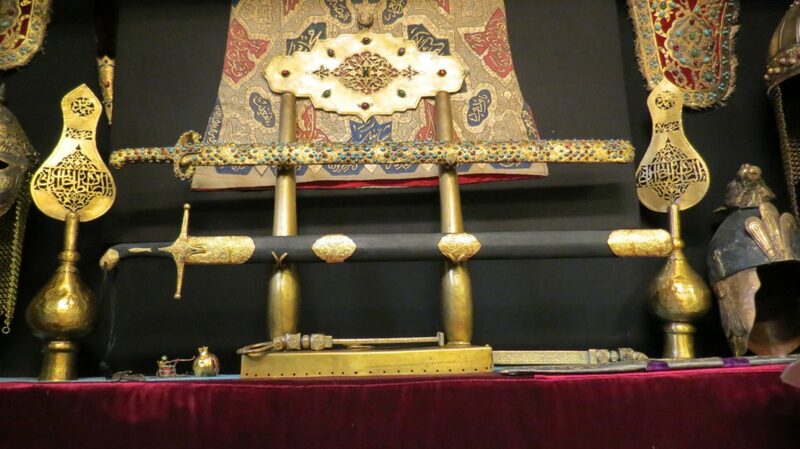 These can be used in movies and TV shows, as home decor, or as cherished pieces of art. Take a look below to see just a few of the magnificent creations found around the factory. Our mission is to use history and art as the inspiration for the designs of our jewelry, and reintroduce the beautiful handmade pieces in the context of modern fashion. 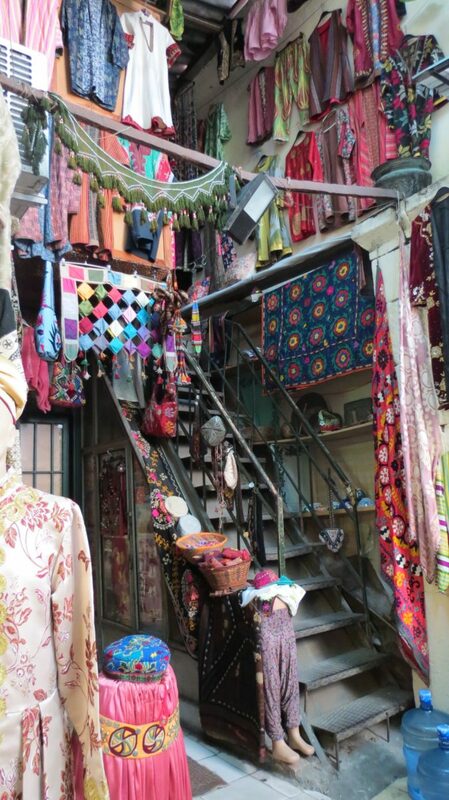 And because of that, we take pride in the rich history of our factory and its home in Istanbul’s Grand Bazaar. We hope you enjoyed this sneak peak into the heart of where our jewelry is made, and that the next time you wear Gypsy, it feels a little more special with the knowledge of its rich cultural and historical significance.